well, that's different, Barrie...…….but certainly distinctive. The problem is that there is only one not very good B&W photo of the original. There are lots of model photos, and lots of different colour schemes. it makes a nice change to split the deck houses up. I set up the test tank to ballast the hull only to find that I only have about half the lead I need But shortage of lead is only half the problem. When I have the lead I am not sure I can get the weight where it needs it. So - its back on the shelf. Its far too hot to be messing about with that sort of problem - shame as the vents for it arrived this morning. A trip to your local tyre shop and ask really nicely lol They'll likely give you as much lead weights from tyre changes as you want last time I asked I took home a 2 litre ice cream bucket full weighed around 10kg. I found a source of reasonably priced lead - my local tyre fitters know the value of scrap lead - which arrived yesterday. So today whilst it is still warm and sunny I took Guardsman down off the shelf, filled the test tank and set about arranging the ballast. It took almost 2 kg. 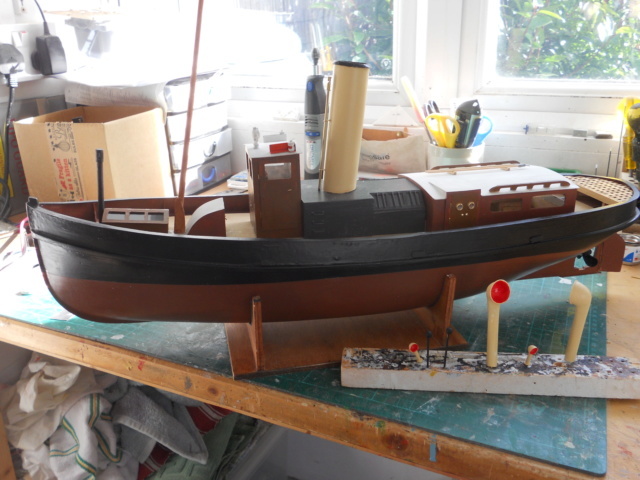 Tomorrow I should get her finished and hopefully, weather permitting, a maiden voyage on Sunday. 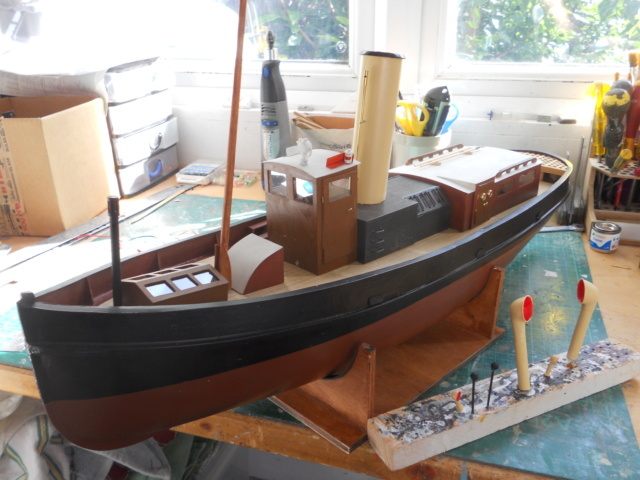 The ballast is now stowed away and the electrics installed. 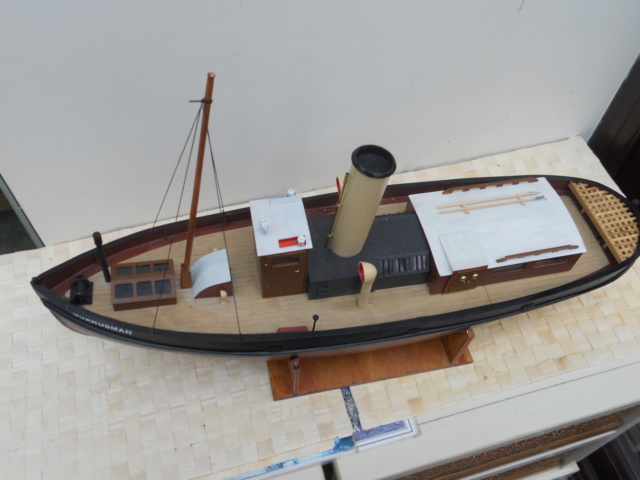 I want to see how well she sails before tidying the electrics and installing a switch under the companionway. Just a few more fittings to finish off and fit. Again if it sails well, I will add more detail later. I will cut some names tonight, although the only picture I can find of the actual ship has no names on the bow . 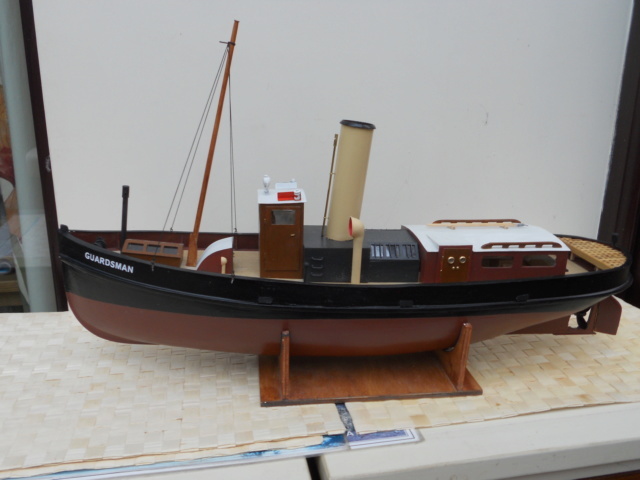 A bit later than planned - the weather wasn't suitable for a maiden voyage yesterday - I have now 99.9% completed Guardsman Just a mast head light to fix and the names to varnish. There are some further bits of detail I could and probably will add - IF she sails well. she looks stunning, barrie……….a lovely addition to your growing fleet. Thanks David. It doesn't look too bad in the photos. If it sails OK then I'll keep it. If it doesn't I may buy the plastic hull and transfer everything to it. The fleet is growing too much I actually scrapped one recently - the fire boat I was modifying to make a lifting platform. There are one or two others I would like to remove from the fleet if I could find a home for them. I spent some time today making these fenders for Guardsman. 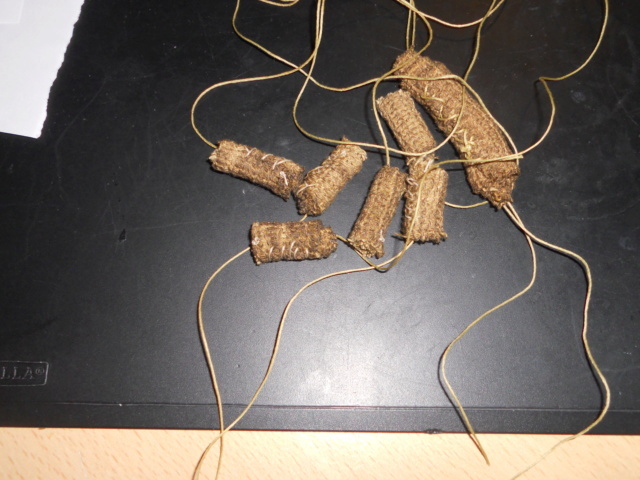 They are made from a dishcloth dyed using wood dye . Hopefully they will look OK when I find some cleats to tie them to. A successful maiden voyage this morning in beautiful sunny and warm weather. Two minor problems - she dips her bow a little when underway, and the prop is not quite covered meaning lots of froth, particularly going astern. I will remove some forward ballast which I hope will cure both problems. 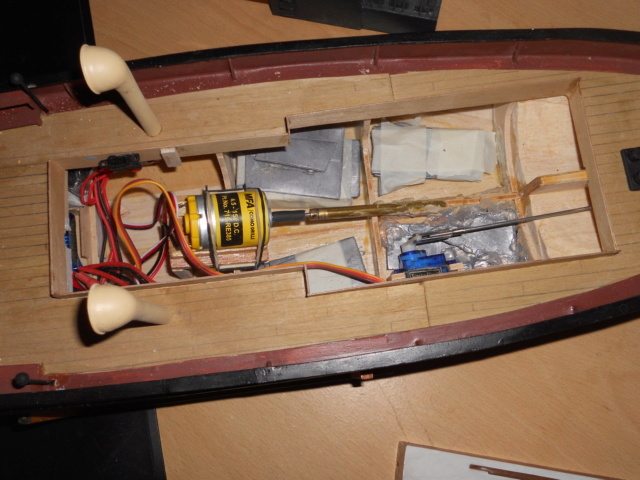 Secondly the rudder arm is loose on the shaft, so I need a better connection - I have tried many times to tighten it and it obviously needs a redesign. Sorry no photo - I did take one but it wasn't sharp. Problems with using a phone in bright sunlight.